Van der Waals heterojunctions based on atomically thin two-dimensional (2D) materials have attracted numerous attention for their special scientific research value and promising applications in photoelectric and micro-nano electronic devices. Especially, the carrier generation, separation, and extraction process in 2D materials can be easily modulated by external field, which may facilitate some multifunctional electronics and optoelectronics. In this paper, we report a unique type-II band alignment ReS2/MoTe2 heterojunction with rectification inversion due to the fact the bottom few-layer MoTe2 can be easily tuned from p-type to n-type state through the applied back-gate voltage. Then we study photodetection properties of ReS2/MoTe2 heterojunction, a relatively fast photoresponse time of 109 μs and a considerable photoresponsivity of 0.34 AW−1 for 520 nm at room temperature show great potential in photodetection. 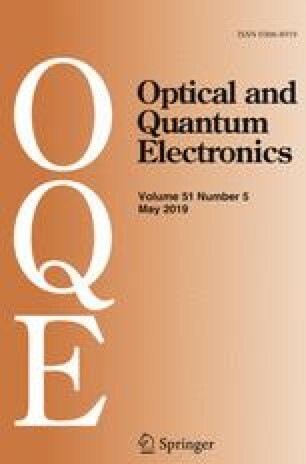 Our studies of ReS2/MoTe2 heterojunction with rectification inversion and high-performance photodetection will facilitate the development of electronics and optoelectronics based on atomically-thin heterojunctions. Man Luo and Xiaoyao Chen have contributed equally to this work and both are first authors. This work was supported in part by the Major State Basic Research Development Program (Grant No. 2018YFA0306204), National Natural Science Foundation of China (Grant Nos. 91850208 and 61804031).